J-Serve is a collaborative effort run in partnership with Good Deeds Day, BBYO, Repair the World and YSA’s Global Youth Service Day. As part of our partnership with J-Serve, thousands of teens took part in service projects in the United States and around the world, joining their efforts to change the world together. For the 5th year in a row, Kids Giving Back changes Australia for the better on Good Deeds Day. This year, as their doing-good tradition continues, over 50 participants cooked hundreds of nutritious meals and then delivered them to homeless shelters and individuals in need of a warm meal. The “Cook4Good” project, which the kids have been taking part in for a long time, is an absolute game-changer in the Double Bay community, making real impact on people’s lives. The JCC of Greater Hartford, Connecticut chose to honor “community super heroes” on Good Deeds Day. 150 volunteers came together to cook meals for a local shelter, as well as bake cookies for their heroes – the police officers and firefighters of Greater Hartford. This project, aimed at families and children, was concluded with a fundraiser dedicated to help give scholarships to low income children participate in baseball leagues – we were inspired seeing kids giving back to other kids. Love it! 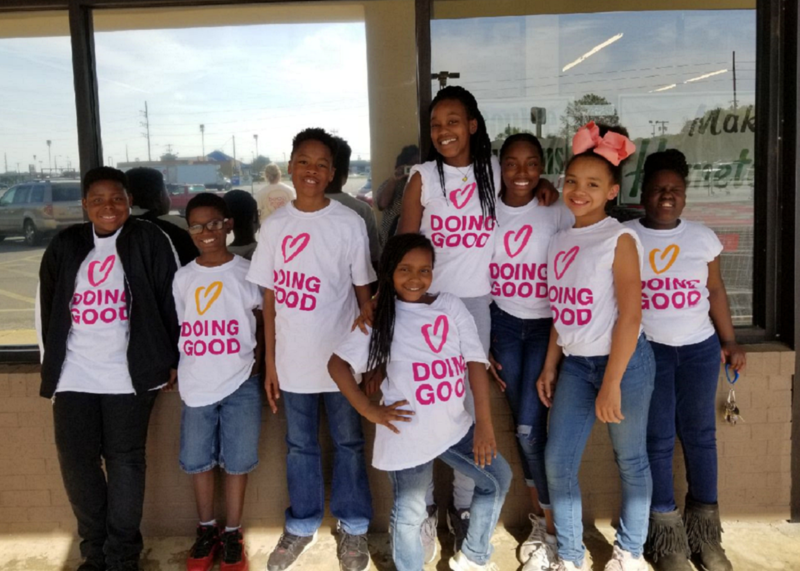 The young volunteers of the Boys and Girls Club of North Central Alabama did not one, but two projects for Good Deeds Day 2018. The group came together to develop and plant a community garden, that now supplies potatoes, squash, green beans, tomatoes, bell peppers and corn to the community. Volunteers also helped the elderly in their local supermarket, helping anyone who needs help with their groceries or carts. 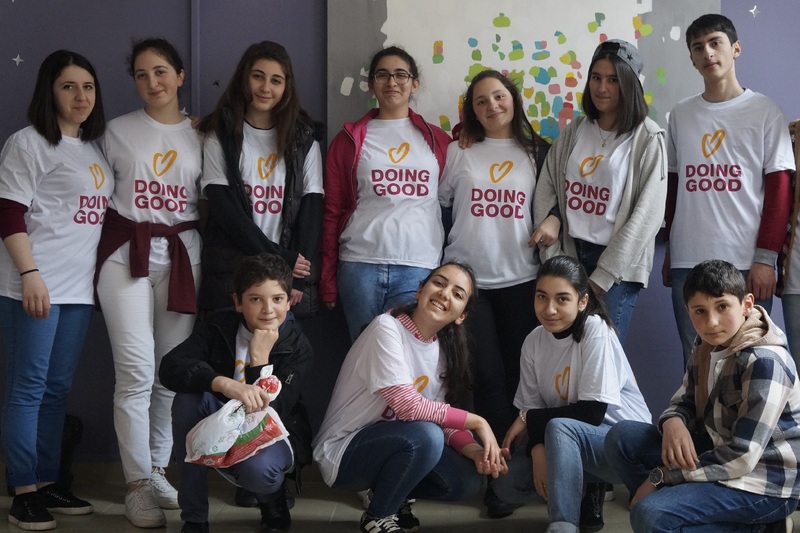 Dilijan Community Center always comes up with original ways to do good, and this year was no different! The incredible volunteers at the center decided to benefit their community in multiple small ways, making a huge impact when combined. Volunteers recycled old t-shirts into bags, cleaned up their neighborhood, visited families in need and more – all to celebrate the movement of doing good! 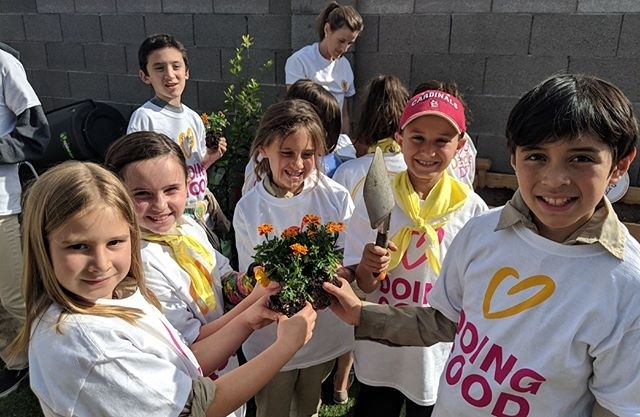 The Israeli Scouts of Phoenix, Arizona, were one of the first groups to celebrate Good Deeds Day 2018. Making their impact early in the game, 80 volunteers from the troop came together to create a beautiful wall mural for their community. This act of beautifying makes a real difference in their community, and we hope to see it still up there on April 7, Good Deeds Day 2019. Did you or your children take part in Good Deeds Day 2018? Share with us at photos@good-deeds-day.org and you might be featured next!